Risk framework Architecture | EuroRisk Systems Ltd.
Intra Net Terminal Server - RFW runs in an application server within LAN. 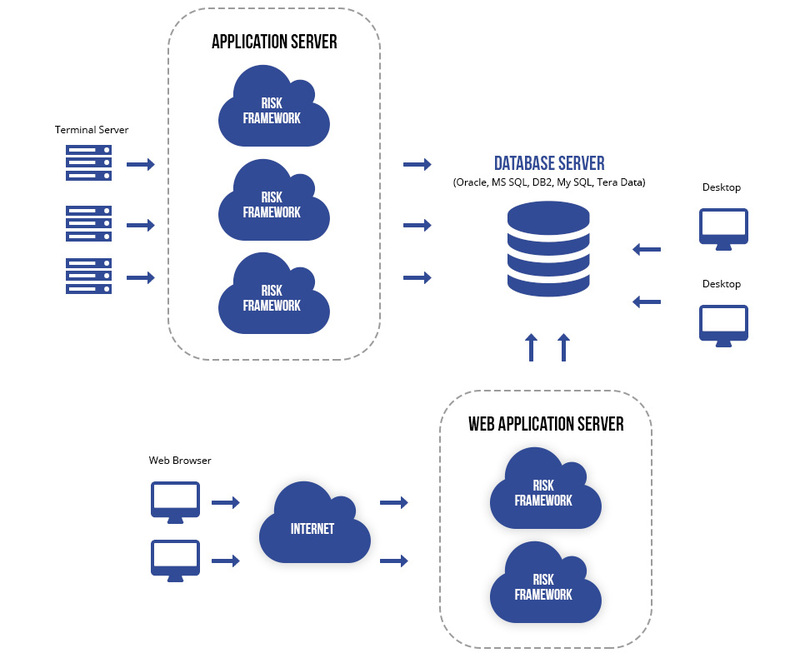 Internet WEB Application Server - RFW runs in a WEB application server that is accessible via all standard WEB browsers (e.g. Internet Explorer, Mozilla Firefox, Google Chrome, Sea Monkey, Opera, Safari for PCs), as well as tablets and smart phones. Desktop Application - RFW runs on a separate computer. All terminal servers, WEB browsers and desktop users are registered in RFW and can simultaneously access a common database server within a LAN, which ensures a transparent and cooperative work environment.